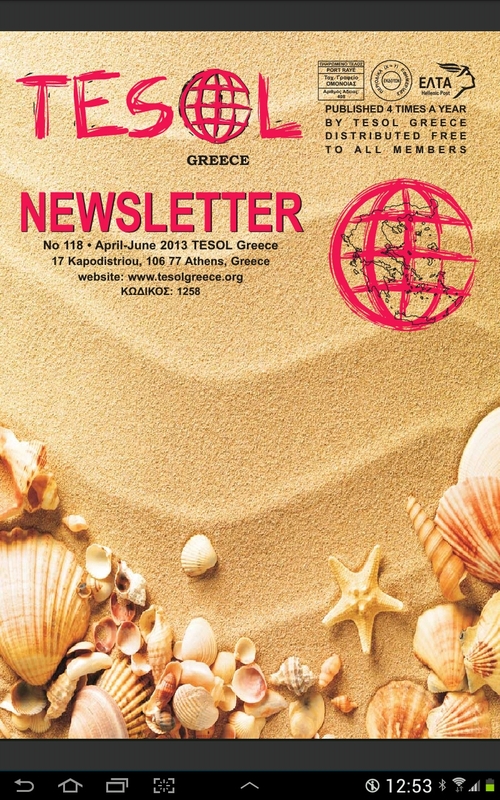 The 118th TESOL Greece Newsletter is available now to read online or to download from the TESOL Greece website. In this online edition there are reports on the 34th TESOL Greece National Convention, and my article, ‘Getting Them Speaking’. This entry was posted in Conferences, Newsletters and tagged TESOL Greece. Bookmark the permalink.